To help you out, we have collated a guide of the best-goings-on for the month of December, helping you plan your calendar accordingly. Thank us later. 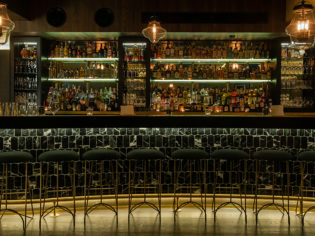 One of New York City’s most famous cocktail bars has finally set up shop Down Under. Employees Only Sydney is located in a heritage-listed basement on Barrack Street, keen to make its mark on Australia’s hospitality scene with flawlessly executed cocktails and refined food, served in a beautiful space without pretence. A quick look on any list highlighting New York’s best bars will see Employees Only. The space was founded on the idea that hospitality workers just wanted a space to call their own – an idea that has been ingrained into the philosophy since day one: caring about people in the service industry, as well as outside guests. Employees Only Sydney continues this tradition serving food and drink until 3am Monday to Saturday, and until midnight on Sunday. If you’re looking for a way to ‘pimp up’ your summer staycation this year, you can’t go past a night at West Hotel, Sussex Street during their incredible ‘Sleep Amongst Botanics’ experience. Inside one of the suites at West Hotel dressed up for the ‘Sleep Amongst Botanics’ summer promotion. The hotel has joined forces with Australian textile brand, Bonnie and Neil, to create a whimsical collaboration that leaves guests feeling as though they’re spending the night outdoors, perhaps in Poison Ivy-inspired digs. The partnership is the latest in a series of ‘Meet the Creatives’ initiatives, and follows a collaboration with two Aussie fashion identities; Jack Phillips of Eight Eight and Weave Dibden-Neck of By Weave and ukiyo-co labels. Each partnership results in bespoke, limited edition, fashion-inspired items exclusive to West Hotel – and an experience for guests unlike anything they’ve experienced before. The result of the Bonnie and Neil collab left us feeling enchanted as we lay among blossom-covered bed sheets, luxurious velvet pillows and throws and got lost in the hand-crafted botanicals that hung from the ceiling above us. Another insightful addition was the diffuser set up in the room by Air Aroma, which emitted a light summer scent that filled the space and complemented the decor. Biology skincare gifted in the room is also a treat to look forward to, as are the Archie Rose ‘Summer of Gin’ cocktails served down at Solander Bar. Order the chai one, it’s to-die-for. – Overnight accommodation for two in the Bonnie and Neil-styled Banksia Deluxe Room. – Full breakfast at Solander Dining for two. – Two ‘Summer of Gin’ Archie Rose cocktails and bar snack menu items at Solander Dining. The ‘Sleep Amongst Botanics’ package is available to guests from December to mid-January 2019, so book here. With December comes Christmas, and with Christmas can often come the pressure of entertaining… and gift giving. If you find yourself in either one of these pickles, Sydney Seafood cooking school is here to help. The centre has just released its summer program, offering hands-on classes that can fine tune the skills of even the most inexperienced chefs. Learn the skills for making everything from a simple paella to a Mediterranean-inspired seafood barbecue, or take a masterclass with some of Australia’s leading chefs. Finish with a delicious meal, a glass of wine and skills to brag about all summer long. Following an 18-month renovation, Spicers Retreats has opened its second Hunter Valley property, Spicers Guesthouse, after purchasing the historic former Peppers-branded hotel. The new Spicers Guesthouse boasts 49 luxury rooms, including a four-bedroom cottage, and offers contemporary dining at Italian restaurant, Eremo, by multi-hatted chef Cameron Matthews. Is there anything Merivale can’t do? Well if its new casual Mediterranean offering is anything to go by, the answer is no. Totti’s will set up shop at the recently reopened The Royal in Bondi, giving the Eastern Suburbs a laid-back, courtyard concept that will serve up wood-fired meats, hand-crafted pastas and classic Italian cocktails in a relaxed, 185-seater restaurant. Speaking of Bondi openings, Maybe Frank is the latest pop-up to join the ranks at the iconic Beach Road Hotel. The level one pop-up space (previously occupied by BL Burgers and TruckStop) will serve pizzas and cocktails, Wednesday to Sunday. The punchy menu includes seven of Maybe Frank’s most popular pizzas, all of which are also available with gluten-free bases. As far as its restaurant scene goes, The Rocks has a lot going for it. But with the opening of Tayim, it’s set to get a whole lot better. Opening this December, Tayim combines modern and traditional Middle Eastern cuisine practices to form one delicious hybrid. Located within the historic Rocks area of the Sydney CBD, Tayim’s stunning sandstone interiors blend the rich cultures of the Middle East and the heritage features of the building to create a unique dining experience. Don’t Tell Aunty, international chef Jessi Singh’s newest restaurant venture, has officially opened in Surry Hills, serving up his famed ‘unauthentic’ Indian cuisine. Located in the space previously occupied by 4Fourteen, Don’t Tell Aunty offers a range of dining options amidst the familiar fun atmosphere that Singh’s venues are known for. 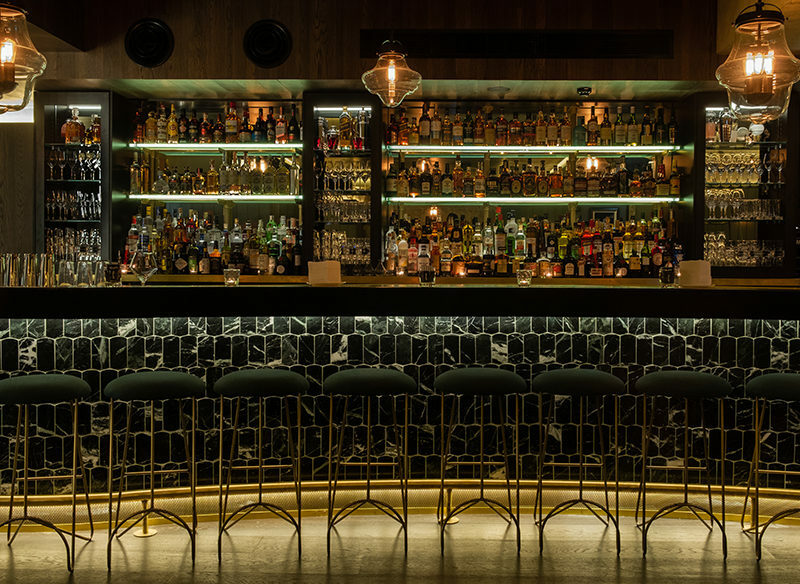 Inspired by the home of a traditional Indian aunty, the 85-seat venue has velvet banquettes, bright pink walls, a self-serve beer fridge and a soundtrack of retro Bollywood music. Merivale’s busy year of relaunches and pop-ups continues with its collaboration with the team responsible for east Sydney eatery ACME; Kingdom of Rice will serve up Cambodian street food out of the former drive-thru at the Tennyson Hotel for a six-month spell. Exploring the intricate flavours of Khmer cuisine, the menu will feature share dishes cooked over charcoal or tossed in a wok in a setting inspired by the Southeast Asian nation’s capital of Phnom Penh, all mismatched furniture and communal tables. Firefly Magic Twilight Festival Season is a unique celebration of nature, light and you guessed it, fireflies. Located at the beautiful Australian Rainforest Sanctuary in Ourimbah on the Central Coast of NSW, the setting is considered to be Sydney’s most successfully surviving rainforest. It also serves as the backdrop for one of nature’s most beautiful phenomena. During December, the fireflies come out at dusk, presenting a lighting performance as darkness sets in. Visitors can take a sunset stroll through the rainforest, ready to appreciate the beauty of the forest creatures and the free, natural light show that takes place. ’Tis the season to overspend, isn’t it? The Big Design Market is a three-day Christmas shopping event, held annually at the Royal Hall of Industries and featuring over 230 independent Australian designers ready to help you check names off your Christmas List. The event has everything from homewares and ceramics to fashion, jewellery, stationery, kids’ toys and lifestyle products. Happy shopping! Australia’s largest adventure tourism and leisure company, Experience Co, has just announced a new offering that’s going to shake up the game forever. Dreamtime Dive and Snorkel is the company’s answer to providing a Great Barrier Reef experience with a difference. Explore the UNESCO World Heritage site alongside Indigenous sea rangers, learning about the world’s oldest living culture and the stories Traditional Owners have passed down over tens of thousands of years. Indigenous rangers recount the Dreamtime stories of the Gimuy Walubara Yidinji, Gunggandji, Mandingalbay and Yirrganydji people to help you gain a deeper cultural understanding of this diverse ecosystem while you explore it. It really is as special as it sounds. Snorkel and dive over some of Australia’s most exciting sites, featuring coral gardens where anemones, sea whips, clams and plate corals are home to clown fish, angel fish and bat fish. Large schools of giant trevally, red bass and sweetlip congregate between the bommies, while turtles, cuttlefish, rays and sharks are frequently seen. Culture, music, events, food – what more could you ask for from your New Year’s Eve? Woodford Folk Festival will take place at Woodfordia (north of Brisbane) between Thursday 27 December and Tuesday 1 January. Topped by the likes of The Cat Empire, The Waifs, Xavier Rudd and Kimbra, this year’s line-up will also feature the familiar sounds of Dan Sultan, Jen Cloher, Julia Jacklin, Stella Donnelly, Alex The Astronaut, Screamfeeder and Remi. In total, over 2000 performers will perform 438 shows across 25 venues in six days. Get your Santa hats and head to Kurrawa Park for the annual Broadbeach Christmas Carols. On Saturday 10 December from 3pm, bask in a festive afternoon jam-packed with activities and incredible live entertainment guaranteed to put you in the Christmas spirit. As the sun sets, hear performers including Marina Prior – a regular at Melbourne Carols in the Domain, Martin Crewes, The Boogie Woogies, NBN Television’s Big Dog and a special visit from Santa and his elves, as well as a fireworks display to conclude. There’s nothing like an alfresco meal to get you excited for summer. Red Piggy opened its doors last month and offers Melburnians a modern twist on classic Southeast Asian flavours, highly influenced by the vibrant and rich history of the old French Indochina region. Located on the building’s rooftop, all you need to do is simply trot into the ground level elevator, head up to level three and lap up the Melbourne views. Grab your blankets, pillows and popcorn because Campout Cinema is bringing the movie experience to the great outdoors. Get ready to watch a flick on 200 hectares of pristine bush land in the heritage-protected Trawool Valley, alongside the Goulburn River under the Milky Way. Visitors can just stay for the movies or bring their kit and camp the night. Food options, full bar and popcorn all night will make this truly a grown up camp out to remember. Cooked breakfast will also be available the next morning. Since the closure of the famous Fed Square book market in 2017, there has been a gap in the market for a real page-turning festival. On 8 and 23 December, keen readers can head to the Abbotsford Convent and browse a vast selection of new and second-hand titles. After picking up a selection of stuff to read, set your sights on stuff to eat at pay-what-you-feel initiative Lentil as Anything. The African Music and Cultural Festival (AMCF) is the largest annual African festival in Australia, and it’s happening this month. Get ready for a spectacular showcase of vibrant music, dancing, diverse arts, cultural performances and authentic African food. The one-day event is free and family friendly, featuring non-stop entertainment that promotes cross-cultural awareness and understanding of African culture in Australia. When it comes to the film festival circuit in Australia, we all know to visit the old standbys – Sydney Film Festival, Adelaide Film Festival and Melbourne International come to mind. But what about more niche or themed festivals, where you can delight in your favourite styles and genres in a less-populated setting? Enter the Bright Mountain Film Tour. Over several nights and locations, the best adventure films from around the world are showcased among the alpine communities of North East Victoria. Talk about the perfect backdrop. Not only is the festival a celebration of mountain culture, but also a celebration of community, encouraging visitors from around the world to come and embrace the epicentre of the mountains. Each film showcase has been handpicked by a panel of local enthusiasts, all experts in their related fields of filmmaking, mountain sports and tourism. The event will be held from 8 December- Bright Community Centre, 30 December – Mount Beauty Community Centre and 6 January – Bright Community Centre. Taking place over the 7 and 8 December, the AIATSIS Indigenous Art Market embraces an array of authentic Aboriginal arts, crafts and much more from right across Australia. Now in its fifth year, the art market promotes Indigenous culture and arts, with purchases made supporting both local and remote Aboriginal communities. This two-day Christmas extravaganza is bringing the magic of the North Pole to Canberra. Featuring over 90 stalls for charming gifts, gingerbread house decorating and, of course, Santa himself – there will be something for everyone to get into the Christmas spirit this December! Only eight minutes from the city via public transport, this is the perfect fun and stress-free family day-out. Showcasing all the latest summer releases outdoors, the Sunset Cinema Canberra is the perfect option for those balmy summer nights. With the option to bring your own picnic rug and pillows, or hire a bean lounger or bean bag, there’s a range of seating to suit everyone’s comfort levels. Bring a picnic or order food and drinks from the onsite bar, and sit back and relax with friends and family under the stars. Old Parliament House has got your Friday night drinks in Canberra sorted this summer! Head down to courtyard of the Museum of Australian Democracy for happy-hour deals starting from $5, a mouth-watering menu and music from 4pm until late. Originally held to celebrate the end of the Sydney to Hobart yacht race, the Taste of Tasmania has evolved into a celebration of the tiny island state’s diverse culinary culture. This year’s additions include a culinary kitchen program with workshops, classes and dining events as well as over 100 stallholders. In its 30th year, the festival runs for 6 days across the New Year period giving you plenty of time to check out all the local food and beverage on offer. Launceston’s premier Christmas market is back again to help you find the perfect ‘niche’ gift for those with impeccably hard-to-buy for taste. With 20 per cent of all takings going to StGiles services throughout Tasmania, the Nichemas Christmas Markets are a great way to support the local community this holiday season. Don’t miss the huge main stage line-up including Discovery – Australia’s Daft Punk Tribute show and kids’ entertainers, as well as live comedy tent that’s sure to leave you with a smile on your face. Looking to escape the hustle and bustle? Head to Perth’s northern suburbs for a boutique community market in a picturesque seaside setting. Featuring over 50 stalls, food trucks and a relaxing beachside vibe, Markets by the Sea is an idyllic way to start your summer. Bring a picnic rug and settle in to the sounds of their stellar acoustic musicians, all while breathing in some much welcomed fresh, sea air. Kite boarders unite! Redbull’s Lighthouse to Leighton race is on again for its ninth year in Western Australia. Taking off from Philip Point on Rottnest Island, the race will see amateurs and professionals alike battle it out across the Indian Ocean to reach the mainland at Leighton Beach, North Fremantle. Santa will be coming in hot via skydive to this annual Christmas carnival event at Claremont Showgrounds. The entry ticket includes unlimited rides and entertainment for little kids and big kids alike. There will be live motocross stunt shows, animal farms and even a water playground for when you need to cool off from the summer heat. The 15th anniversary of IRONMAN Western Australia will be held in the charismatic town of Busselton. This World Championship qualifying race is popular amongst both locals and the triathlon community and its spectacular setting in one of south-west WA’s most charming towns makes for a perfect destination race. Here’s your chance to sample freshly picked cherries straight from the tree, only three hours’ drive from Perth. The Manjimup Cherry Harmony Festival has your culinary senses sorted with an assortment of events across the weekend including a masterclass with local products, wine tasting, and a summer picnic experience. For those staying the whole weekend, get involved with the magnificent 200-person long table lunch set amongst the famous cherry orchards. The Adelaide Motorsports Festival is on again with over 700 cars participating and is sure to be an exhilarating weekend for all motorsports fans. There will be static displays, trade stalls and on-track action to keep you entertained all day long. For the younger fans, there is a purpose-built track for the Porsche Kids Driving School to let the kids get amongst the action. Adelaide’s newest summer festival is kicking off with tunes set to tantalise your earbuds while you dance the night away at dreamy Glenelg Beach. UK indie band The Kooks bring their 2018 album to Australia for the first time and are joined by Australian favourites Winston Surfshirt and Last Dinosaurs plus many, many more. The Summersalt concert series sees a stellar Australian line-up gracing fans countrywide. Held at the Glenelg Foreshore for the Adelaide leg, indie favourites Angus and Julia Stone headline this brand new outdoor concert experience. Rounding out the line-up and stirring chilled-out summer vibes are Meg Mac, Didirri and Seaside, providing the harmonies for you to dance barefoot on the beach. Focusing on locally made gifts from within the Adelaide community, the Leigh St Christmas Market brings together Adelaide’s best handmade artisans for weekly Saturday markets running up until 15 December. With an abundance of fresh food on offer and events to keep the kids entertained, this family-friendly event is the ideal place to get your Christmas gifting sorted. Beginning on Friday 14 December and running right through the summer school holidays, these weekly twilight marketing held along the Semaphore foreshore are a fun, carefree family outing. Highlighting Adelaide’s best collection of handmade arts and crafts, these summertime markets will be your go-to for exclusive cuisine and handiwork. Embodying the best in professional artists and handmade crafters, the Top End’s Christmas Craft Fair has all you need to deck the halls with Christmas cheer. You’ll find exquisite jewellery, artworks, ceramics – just to name a few – all under one roof, giving you endless options to find that extra special gift. After coming in at number 1 for Triple J’s Hottest 100 in 2016, the five-piece Sydney-based band have gone from strength to strength. Fresh from releasing their third studio album, The Rubens are bringing their alt-rock sound to the NT for one night only on Saturday 15 December. A Darwin institution proudly supporting locally produced products, Parap Village’s Saturday markets have your weekend plans sorted. Think fresh produce at market prices including exotic fruits and vegetables, in addition to specialist stallholders selling NT-sourced clothing, jewellery, artworks and more.